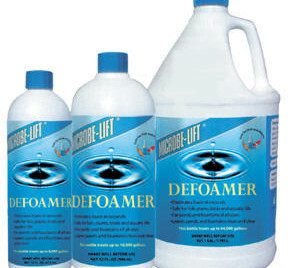 Microbe-lift Defoamer eliminates foam in Seconds! It gets rid of unsightly foam fast, leaving pond water clean and clear. Persistent foaming can indicate a heavy concentration of undissolved organics. Partial water changes can improve water quality which will help reduce foaming. For ponds and fountains of all sizes. 1 oz per 500 gallons. 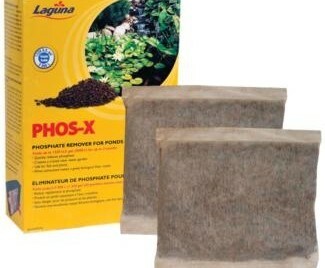 Safe for fish, plants, birds and aquatic life. Foam-B-GoneT removes foam from pond water within seconds. Foam is usually associated with excessive organics present in pond water. Protein foam can be harmful and should be removed quickly. 100% safe and effective. Treats 1000 gallons per oz. Safe for aquatic life.